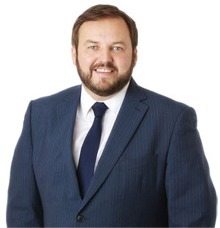 NEWLY-elected Sinn Féin Senator Pádraig MacLochlainn has vowed to continue his "fight against the neglect of Donegal and rural Ireland". The Buncrana politician was speaking after topping the poll yesterday on the Seanad Industrial and Commercial Panel. "We need to see a focused plan of investment and job creation for Donegal that delivers for communities across the county," he said. The former TD., who lost his seat in the February 26 general election, said he would also push for better health services for the people of Donegal. "I will also continue my fight to defend and enhance public services across the county. I have long championed a fair deal for our major county hospital at Letterkenny. While we have seen some progress recently, much more needs to be done." Senator MacLochlainn outlined a number of areas that would be the focus of his efforts including: renewed job creation targets for the State's job creation, enterprise and investment agencies; urgent fast-tracking of investment in broadband for rural Donegal and "real investment" in the immense tourism potential of the county. He said he would also push for the delivery of the A5 dual carriageway linking Donegal to Dublin and a "rebalancing of financial supports" to small farmers and fishermen. “The years of government neglect have meant severe under-investment in schools, roads, water and sewerage infrastructure. I will fight for a reversal of this neglect and a fair deal for Donegal," he added.